How one viewed the historical events remembered over the past week makes all the difference in the world. Yesterday some families woke up and had the kids hunt for Easter eggs before putting the ham in the oven and driving to a local church for the semiannual visit. At the end of the day, everything probably felt satisfying. 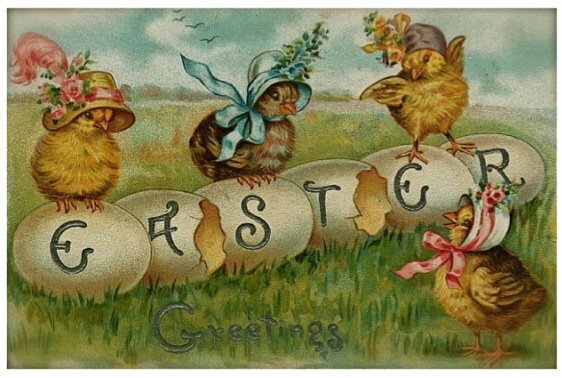 How many of these folks woke up this morning (this is traditionally even called “Easter Monday”) with nothing changed, just another “Monday Monday” as the memory of Easter is bound to quickly fade away? Suppose you were visiting Seattle in early February 2014, less than a week after the city’s football team won a Super Bowl championship. A million people fill the streets as well as the city’s two stadiums for a celebration of the arrival of the Vince Lombardi trophy. Players on the team stand in flatbed trucks that wind through the parade route heading to the football stadium. Because you’re not a football fan and don’t live in the Pacific Northwest, you don’t quite appreciate the exuberance of these crazy people, but you still become excited and join the festivities anyway. Somebody hands you a hard-to-get ticket so you can enter the stadium and watch the presentation of the trophy, with the “12th man” crowd roaring its approval throughout the afternoon. It is all very exciting, even for someone who doesn’t quite get what all the fuss is about. 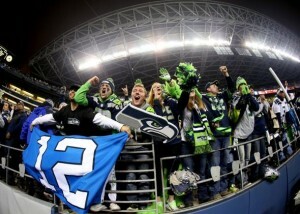 Now switch to the person who has been a faithful fan since the Seahawks were invented in the mid-1970s. There were plenty of losing seasons for those Seattle faithful, as hopes were usually dashed by late November or at least by early December, yielding annual frustration for the fan base. Of course, at the end of most seasons, these fans were fond of saying, “Wait till next year.” Winning a Super Bowl was just a fairy tale fantasy. Throughout the 2013 season, the Seahawks had many ups but also a number of downs, including several injuries to key players and close losses to top teams later in the season. Yet the team got a win in its last regular season game to claim the conference’s top playoff spot. Two weeks later, victory was easily secured in the first playoff game. In the NFC Championship game, it appeared that the team’s rivals—the San Francisco 49ers—would be successful in marching down the field for a winning touchdown with only a minute left. However, when a Seahawks cornerback tipped a potential game-winning touchdown pass and the ball floated to a teammate for an interception, the invitation to the Big Game was sealed. Two weeks later, the Seahawks crushed their AFC opponent, claiming their first-ever Super Bowl. Despite enduring many years of losing seasons, the newfound “we are the champions” song blaring in the stadium had to be ever sweet for fans in attendance as well as those watching on TV! Now it’s a few days later and time for the victory celebration. Ask yourself, which one of these two people attending the parade will have fully celebrated: the visitor who just happened to be in Seattle that day or the fanatic who lived and breathed Seahawks football since 1976? I think the answer is obvious. Just when all hope looked lost, Easter took place on the third day! To a person who grasps the events of Good Friday, the ultimate celebration (“He is not here, He is risen”–Matthew 28:6) is a glorious moment! No New Testament author claimed that the blood spilled in the Garden of Gethsemane should be considered efficacious for even a partial atonement for sins. Rather, as the saying goes, the “devil is in the details.” It is the death of Jesus, not His perspiration, that is stressed in the biblical record. (See Bill McKeever’s article “Why Not Gethsemane?” for more details.) As the writer of the book of Hebrews put it, “a will is in force only when somebody has died.” (See Heb. 9:16-22.) I therefore maintain that it is impossible to fully celebrate Easter without first having a proper perspective of the brutality and seeming finality of Good Friday. Understanding that He died in our place so that we could live in His place is a vital concept for those hoping to celebrate Resurrection Day. This entry was posted in Christianity, Jesus Christ and tagged Atonement, Church of Jesus Christ of Latter-day Saints, Cross, Easter, Ezra Taft Benson, Gethsemane, Gordon B. Hinckley, Mormon Church, Mormonism. Bookmark the permalink. 40 Responses to Should the cross just be an afterthought? I’ve never quite figured out why the LDS religion has such a problem with the cross. This idea that it was the means of an execution and therefore shouldn’t be glorified has always seemed really weak to me. I don’t know if the Mormon leadership over the years just decided to be contrarians regarding the cross as was their practice in attacking various features of Christianity or what? As a kid going to Catholic School, I stared at the crucifix everyday affixed to the front of the classroom. It wasn’t the protestant version either. The Catholic crucifix has Jesus hanging on it. It’s a sobering reminder of what the Bible tells us that God loved the world so much that He gave His only begotten Son that we shouldn’t perish but have eternal life. The disciples of Jesus saw what He went through in His suffering and death. They continued to proclaim the cross in reminding people of Jesus’ sacrifice. The fact that Mormons want to move the atonement some where else shows just how out of touch they are with the Christian message. Who has an interest in getting peoples’ minds off of the cross and the shed blood of Jesus? I think Mormons need to consider that! Their offense at the cross is one more piece of evidence, to me, of their heresy and their religion being completely not of the God who created the heavens and earth. Just like 2 Thessalonians 2:4 “He will oppose and will exalt himself over everything that is called God or is worshiped, so that he sets himself up in God’s temple, proclaiming himself to be God.” always brought to my mind the teaching that men can go on to be a heavenly father to their own planet. Once I learned about Christianity and left the LDS church, I decided I wanted to wear a cross. I still live in an area where most people are Mormon, so I was a little nervous about displaying it. It took a few months for me to let it show if I wore an open neck shirt. Mormons find the sight of the cross disagreeable. I used to think like a lot of them do, that it was focusing on the wrong part of the story to think of Jesus’s death. A dear friend asked me why I wore it. I told her that wearing a cross reminds me that Jesus paid for me, that I belong to him, and it helps me remember to show love to others. On last year’s Good Friday, our pastor invited us to hammer nails into a log, to let Jesus nail those sins to the cross and set us free. I am very, very grateful for a God who died for me, and who lives again. I don’t know if it takes a lot of mental gymnastics for Mormons to accept Mormonism or if it’s just that they get so snowed by it that they simply get swept up. Back to one of the fundamentals of cult thinking; the more convoluted and bizarre an idea, the more cultist embrace it. Thus the idea that they can set themselves up as gods if they just do the system right. The LDS sect will give Jesus respect as the valiant elder brother who gave his life, but they won’t honor Him, adore Him or petition Him in prayer. The LDS Jesus is one of many gods who had to learn how to become a god, just like they themselves will. To Christians, Jesus is not just one of many gods who got a really tough assignment. Jesus, to a Christian, is God incarnate, the One and only God. We don’t have to get too far in to the LDS religion to see what foolishness it is. It’s not even the wisdom of man. It’s the creation of a bunch of religious entrepreneurs who never met a bizarre notion that they didn’t like. Falcon, I can’t speak for all Mormons. I joined as a teen because I just didn’t know any better. There was no easy way to research the church then. My stepgrandmother was a happy lifelong member, my parents were not churchgoers, and the members of the LDS ward were very welcoming and kind. We were a minority in that part of the world and banded together, forming a tight bond. The church filled our lives with activities and I never learned enough about other religions to question the Mormon one. What finally got to me was a desire to read the Bible. I decided to compare it to the Book of Abraham, and then the good Internet provided me with a LOT of background on that so-called scripture. I researched thoroughly everything the church taught because it was all so shocking to me to see how blind I’d been. I thank God for Mormon Coffee, Mormonthink, MRM, and CARM, and all the many ex-Mormons who share their stories. I’m curious. Do you think that the LDS sect’s attempt to “inoculate” members by giving them a sniff of the truth will help? They speak of “shaken faith syndrome” when members start finding out the truth about Joseph Smith and the entire program. Isn’t that what the Joseph Smith papers’ project is all about? It will probably work for some members who don’t go any farther than the typical LDS church approach to sanitize and white wash information. Then there’s the FARMS/FAIR nonsense of providing explanations that only the most mesmerized member would accept. On another thread I repeated what Grant Palmer said when asked what he thought about Joseph Smith after all of his years of studying the man. Palmer simply said, “He was a con man.” It took some time I’m sure for Grant Palmer to get to that conclusion because I believe he would have liked the LDS church to go through a revival and change. The problem is, what would they change? Would they become Community of Christ like? If they did start to change their basic man-to-god type doctrines, the FLDS would get a lot more recruits. After all, I’m told that’s where the FLDS gets their new members from; the LDS population. If someone wants Joseph Smith/Brigham Young Mormonism, they have to go with the FLDS. As it is, the LDS is neither fish or fowl. The handful of members I still talk to (more than just a polite hello), don’t even know about the posts about controversies on their church website or the JS papers project. They are busy feeling good (or stressed) about their callings and staying awake in stake conference. They’ve been taught to be faithful and endure to the end, and those with questions seem to quash those and treat it as a test of faith. Plus they have pressure from family and friends to conform. Should the Cross be an afterthought? In a word, no. It is the prime source of Christian faith, as Christ’s death represents his death for us all. Had he not died, there would be no sacrifice. This is my take on why LDS don’t care for the cross very much. I think its because essentially the cross is not that important to being Mormon. I mean, the cross or even the atonement that LDS say largely took place in Gethsemane, only helps Mormons just as much as they interpret it helping any other person in the world. The Mormon atonement gets everyone into a heaven, no matter who they are. Well, Mormons view the cross as just something that had to be done to get everyone into the lowest door to heaven, they don’t need to focus on it much. They are much more worried about moving up the kingdoms, which doesn’t have much to do with increasing in the ranks. For that they rely on their saving ordinances and good works, that only really count after the saving ordinances that they can get through the institution. So in essence, they are really grateful for there big brother for opening the door for them so they can do the things that really matter. I don’t think most Mormons have that much aversion to the cross. I think they just see it as a Christian symbol, and instead of it representing God’s love, to them it just represents the incompleteness of truth that traditional Christianity has. “Those Christian’s have their cross; I wish they had the fullness of truth, which is the list of things that THEY must do to get with God that only we have. Poor Christians.” Mormons have a certain amount of pride in the things that make them unique. I can tell you, when a Mormon gets the opportunity to tell someone that they don’t drink coffee or alcohol, they get a little buzz at how they have a prophet and they are following that prophet; plus they get the opportunity to talk about the uniqueness of Mormonism. It’s the same with the cross. They get a little buzz about how they don’t have crosses. It’s something that makes them feel like Mormonism is special and they get a chance to tell someone how unique and special their religion is. The reason I think there isn’t a real aversion to the cross is because I have heard so many Mormons that have become Christian later, run out and get a cross immediately. I was one of them. I couldn’t wait to get my own cross. Now I am not saying there aren’t Mormons that exist that have a real fear of crosses. But I think for the most part it is a thing that makes them feel “peculiar” and proud of their faith’s unique doctrine. It allows them to say, “our prophets know the truth of the atonement, it didn’t happen at the cross. It was at the Garden. 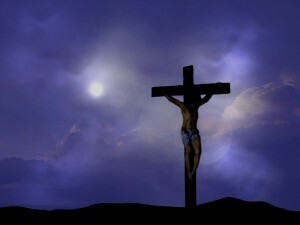 All our premortal spirits stood in front of Christ as he suffered for our sins that we were going to commit once born. The cross was just prophetic fulfillment and the completion of it. But the real stuff happened in the Garden. We know it. We got prophets and apostles.” So it really all comes back to a love for their leaders and promoting how special their leaders are because they give them such unique insights. It’s really sad because Mormons miss the beauty of Christianity. They miss that God (not a child spirit given godly authority, but God Himself, the Transcendent Being above all things ) emptied Himself into our lowly human form, took on our pain and sorrows, our sins, took on death and conquered all, reuniting man with God. This is not a perpetuation of an alien humanoid species. God creates and loves. He made us god-like and in our pride we cursed ourselves (not Eve wisely deciding to disobey God to listen to God, but both Adam and Eve acting apart from God, seperating themselves). And despite ourselves He has saved us; humbling Himself to do so. On the cross he showed us the one true human, Jesus Christ, our one true God, humble and loving and with all power to do what is impossible for us; vanquish even death itself. The cross is the ugliness of this world, that God put on Himself, to restore it. It breaks my heart the Mormons don’t get this. What I have noticed with LDS friends is that there seems to be much more emphasis on Christmas, rather than Easter, as a religious holiday. Some attention is paid to Easter Sunday but Good Friday gets a pass…I remember asking an LDS acquaintance what her church had planned for Good Friday, (I didn’t know much about Mormons at that point and just assumed they’d have a service) and receiving a blank look in response. I have since learned about the LDS belief that Christ’s atonement took place in the Garden of Gethsemane, so that would explain the discomfort with Good Friday. I wished I had asked this person their thoughts on I Peter 2:24, which states clearly that “He himself bore our sins in his body on the tree, so that we might die to sins and live for righteousness; by his wounds you have been healed.” While Jesus bled drops of sweat like blood in the garden, He wasn’t yet wounded. Putting the focus on Gethsemane also misses the entire connection of Jesus as the Passover Lamb. The Hebrew slaves in Egypt were not required to merely wound a lamb–it had to die, as did the animals used in the temple sacrificial system. I think even among Christians, if one believes that God sent Jesus to make us happy, then it is easier to focus on Christmas. When we realize Jesus was actually sent to make us holy, then Easter is paramount. you explained it all pretty well. As far as the when and why mormons don’t use crosses, I believe the “no cross” policy came from Mckay and was instigated as an anti-catholic measure at the time. Good ol mckay. Hating on the Catholics and Communists. He just wanted the mormons to be “peculiar”. Gotta love how the church now doesn’t want that at all. Here’s an article written by Sharon that appears on the MRM site. It is about Lynn Wilder and her journey out of Mormonism. I’ve watched Lynn’s testimony on video and the part that is very interesting is about the cross she was wearing under her clothing and lost on the BYU campus. How she got it back is the punch line in the story. “Picture a beautiful, bright winter day in Utah. Glistening mountains, crisp air, deep blue sky. It was Christmas, and Lynn Wilder was loving it. The past year had been full of struggle, inspiration, triumph, and fear, but at this moment, all was well. Just like the mountain air, Lynn’s mind and heart were clear. For almost thirty years she had faithfully worn her Mormon temple garments, a constant reminder of her spiritual devotion and the covenants she had made for her religion. But things had changed. Lynn didn’t believe Mormonism any longer. On this day–Christmas Day 2006–Lynn replaced the temple garments that had been the symbol of her Mormon faith, with a Christian cross, the symbol of her new commitment to Jesus Christ. She was relaxed, thinking the worst of the struggle was behind her. The year of turmoil was at an end. The video with the cross story. How weird. I don’t remember being taught that the sweating of blood in the garden was the atonement. I remember it being part of the whole big picture or whatever but I don’t remember it being the atonement . Interesting. Shows what a good Mormon I was doesn’t it. My sense of it is that arrogant type TBM males like to revel in their works because it is by their works that they believe they will become gods. That is their boast. But the LDS religion is not Christianity so what it says here in the NT has really no bearing on the Mormon. A Mormon going down this path is not saved. They have no hope of eternal life. The Bible is ancillary to what a Mormon believes is the real provider of the reward, the Mormon system. After all even the Mormon HF of this world had to go through the process on another planet in order to become a god. For an aggressive and goal oriented individual within the LDS sect, this system is a way to shine. As Christians, we believe what the Bible teaches and that is that our works have absolutely nothing to do with our salvation. Our works are to bring glory and honor to God. Our works are the result of a transformation which occurs when we are born again by the Spirit of God as a result of our faith in Jesus. Christians rarely, if ever, speak about rewards for work done. Our foundation is Jesus Christ. Mormons have a false religion that builds on the works of the person (doing the work). Some LDS members even get into the platinum club and are declared to have done enough. Can you imagine that? The LDS system can confer upon the faithful member god status to be cashed in at a future date. Mormonism is a sad and deceptive business. OK, to correct a mistake on here. The LDS do not believe that the Atonement was in the Garden of Gethsemane. We believe that it started in the Garden but finished when He was resurrected. This encompasses the Garden, the scourges and trials, the Crucifixion and death and then His resurrection. Without anyone of these parts there would be no resurrection nor would there be any redemption from sin; we would all become subject to the devil in the afterlife. The Garden was important as that was where He subjected Himself to a higher will – His Father’s; and also where His suffering for the sins and pains of the world began. The scourges and cross was where the suffering and pain continued. The cross was important as that was where He died. The resurrection was important as we all know for all of us to be resurrected. As far as the shedding of Jesus blood, I have been taught that this means the loss of His blood after the resurrection – ie He has a body of flesh and bone now – no blood. In the OT times the animals died when they were cut open to allow the blood to flow out. This was important as the blood, as taught in the Bible, was considered the life of an animal and human, and it was the shedding of the blood – not the killing of the animal – that was important in the sacrifice. Yes there was a little shed in the Garden, and again a little on the cross – but for there to be blood coming out of a wound given by a spear to the heart means there was not enough blood shed in the Garden or on the cross to kill Him. Thus in the Garden and on the Cross, the blood did not flow out of Jesus in enough of a cascade to kill Him as it did in the animal sacrifices. The wound made by the spear when blood did flow out was post-mortem so that does not count. So the shedding of blood came when He put on his immortal resurrected body. I work in ICU and have seen a number of people bleed out and how much blood can be pumped into someone. It’s scary, not to mention mayhem as we try our best and fastest to keep the person alive. Anyway, the Cross isn’t and after thought but part of the process. The main part we want to focus on is the finished product – He being alive now. Hey thanks for clearing that up. I wondered why I never heard of that before. One thing you might want to consider tho is what was done with the sacrificial blood after the animal was killed. Where did the priests pour it? On the ark of the covenant. The ark of the covenant has to be anointed with the blood. Look at the location of where messiah was killed and look at where Jeremiah is said to have hid the ark. The placement is very interesting. Also remember there was a huge earthquake, the ground broke open, the veil tore. Archeologists have uncovered the place where they believe this occured. The rock is broken at this site, which is above where they believe the arc to be buried. Very interesting. Oh ya I better metion this. The second temple did not have the arc of the covenant. Just so you know. The problem that we run into with you in these discussions Ralph is that we’re looking at these things from a Christian perspective and you’re applying the understanding of someone who is in an aberrant religious sect. It’s important to repeat, as often as the opportunity arises, the we aren’t even talking about the same Jesus. The Jesus revealed in the Bible is God incarnate. The LDS Jesus is the spirit offspring of one of a pantheon of gods and one of his plural wives. So unsteady is the LDS grasp on who Jesus is that your prophets couldn’t even keep it straight. Ralph I’m concerned about your salvation. You can write all you want about the blood of Jesus but until you know who He is, you’re not covered by His sacrifice. You’re learning has brought you some information but it hasn’t brought you knowledge of the Son of God. Just a question out of interest – I have noticed that some Trinitarian Christian churches (ie with evangelical and pentecostal in their titles among others) in my area in recent years have either removed their crosses from the outside of their buildings, or built them without the cross on the structure; and at least one of them does not have any inside. If the cross is meant to be the main focus, why the recent trend to remove it? BTW, the church I went in was originally one of our chapels. We sold it to the other church and I went in for a look around a few years after it had been sold. It was interesting that there was no cross inside or outside, and what they had done with the baptismal font. I agree with you about not displaying a cross or any other symbol for that matter. No where does it say we are to do these things. That is not what its about. Its about him being the Messiah. The one that would deliver us all. Its about him being the sacrifice that was without blemish. Remember what event the Hebrew people were observing during the time of his death. Passover. Read up on that. As far as this trinity idea goes ive never read that word in scripture. This is something im actually studying at the moment. Something I came across the other day was where Genesis states that Adam and Eve were one, Echad in Hebrew. Deut 6 states that God is one, Echad. As far as I can tell it is the same. One in character and nature. You won’t find the word “trinity” in scripture. It was a word applied to the understanding of the Church Fathers regarding the nature of God. I suppose any word could be used since words are labels. It’s convenient to have descriptive words or we wouldn’t be able to communicate. Why don’t some modern churches put crosses in/on their buildings? You’re right it’s not a requirement. The church I attended as a kid had statues all over the place of Mary, Jesus and Joseph. Catholics would get accused of idol worship. The “no cross” often is one of the features of the seeker friendly church. Since you asked and referenced your country, here’s an article written by a guy who preached at a “seeker friendly” church in Australia. I think rick would appreciate this idea that with the seeker friendly approach we don’t want to offend anyone to suggest that sinners need a Savior. We really need to soft peddle the message of the cross because the cross is offensive. It’s all a matter of our manner when we discuss these things with people but why would anyone be compelled to receive Jesus as Lord and Savior unless they saw the need? OK, to correct a mistake on here. The LDS do not believe that the Atonement was in the Garden of Gethsemane. We believe that it started in the Garden but finished when He was resurrected. This encompasses the Garden, the scourges and trials, the Crucifixion and death and then His resurrection. Without anyone of these parts there would be no resurrection nor would there be any redemption from sin; we would all become subject to the devil in the afterlife. The Garden was important as that was where He subjected Himself to a higher will – His Father’s; and also where His suffering for the sins and pains of the world began. The scourges and cross was where the suffering and pain continued. The cross was important as that was where He died. The resurrection was important as we all know for all of us to be resurrected. Your argument is a diversion. If Christ was not BORN, there would have been no atonement, so that also could be used as a criteria. What the focus is, did Jesus taken upon himself the sins of the world IN THE GARDEN. Mormon “prophets” say YES. They quote Mormon Scripture as saying YES. Right other men did die on a cross. Thats what I mean. Its not about it being a cross that he was killed on. I think the important factors are the timing of the event, where the event occured and why the event occured. There is a much bigger picture to all of this. God gave us a way to remember this event. Thats why his death occured during the time it did. Its always about God revealing his power to the people. Just as he delivered the people out of Egypt so he will one day deliver us into the land he promised us in that great day. Are we not subject to the devil now? So Christ’s death is not important? He could have done the same thing for us had he physically lived without dying? The Mormon doctrine that he did so in the Garden is based on the fallacy that Jesus sweat blood in the Garden. Luke states that his sweat looked like blood in the darkness. It was not, but that didn’t stop Smith from making it scripture that it was actually blood. I’m not trying to rub it in but I just want to point out that LDS folks show-up here all of the time telling us that we don’t know what we’re talking about when it comes to their particular brand of Mormonism. I don’t know where you got your information but I think grindael has clearly pointed out what the leadership has taught. I’m also glad that grindael pointed out what many people miss and that is that Jesus did not sweat blood in the Garden. At some point Ralph I would think you’d lose confidence in those who you think have all of these special messages from God but are rank amateurs playing religion. I want to cover a few issues. The first one is, you were talking about Church’s not having crosses or removing them. Not sure why a church would remove one, and I might wonder if they were walking away from the Lord. But if they never had one, then it’s no big deal since as some pointed out, the Bible does not claim we need one. Also we as a body of believers are the church, a church is the people not the building we meet in. In the Bible and in the old days, and even in modern times, people have church in peoples homes, or any place they can meet. Do they need a cross to claim they are a church? No. Now a question for you? In the Bible we read two things, One, the Bible claim that Jesus was slain before the foundation of the world. So before the world was even created, Jesus knew He was going to die. The second thing we read in the OT is a prophecy of Jesus dying on the Cross. Why in both of these cases do we never read any thing about Jesus in the Garden? Why is their no mention of Jesus in the Garden in the BoM? I have read the BoM and it’s not in the BoM any place. Look folks, aberrant religious sects like the Mormons groove on this sort of thing, the atonement in the Garden. The “prophets” that come up with this stuff do it to appeal to a niche of people who are drawn to contradiction. There is no basis for this type of belief or interpretation. It’s another way of the sect setting itself a part from conventional Christian thinking. What do the JWs say? Something about Jesus dying on a “torture stake”. I am pretty sure I recounted here before how a 12 or so year old LDS once caught sight of my wife’s shoes that had crosses on them and immediately said, “those are bad.” His 17 year old brother tried to correct him and soften the LDS position being communicated. But I’ve always been struck by that visceral reaction. Even given young teenagers’ tendency to speak imprecisely and his older brother’s attempt to be more polite, I can’t help but take this as a product directly coming about from what the LDS leadership teaches. How can it not be? How does a professing Christian from a professing Christian religion end up being offended by the Cross, despite what the Bible says about those who are offended, except from strong messages given to him by those he sees as authoritative? In reflecting on your post, which pointed out what exactly Mormon leaders had to say about our current topic, I was wondering? Is this one of those situations where the LDS folks can play the “opinion-it doesn’t count” card? That’s one of the favorite tactics of our LDS posters. On the one hand they claim to have prophets that hear directly from God. On-the-other-hand, the LDS seem to have an ability to know exactly when these guys are just spouting off. The result, as far as I’m concerned, is that these prophets, apostles and other leaders really can’t be trusted to reveal the mind of God. This all wouldn’t be such a big deal if the LDS folks didn’t follow what these guys’ say and would just free lance. What I mean is that each LDS member could created their own form of Mormonism from the “suggestions” of the leadership. Actually the “opinion” card is a favorite in Mormonism because then they can’t be pinned down on anything regarding what these leaders say or have said. We had Ralph write a long post where he told us that everything that happened from Holy Thursday evening until Resurrection Sunday is actually the LDS atonement. Then grindeal writes a long post that highlights what Mormon leaders have actually said on this topic. It not what Ralph said. So I guess Ralph can have his opinion but not claim anything beyond that except for himself. “……and every man did what was right in his own eyes”. Just so everyone knows, im not disagreeing with you about where the atonement took place. It could not have been in the garden because he didnt die there. My understanding of all of the animal sacrifices that were done occured at a certain place and the animal died. It didnt just release a bit of blood, but it was killed. So in order for the Messiah to be this perfect sacrifice it must be done in the same way. I think many people just dont link these things. I am still trying to understand all this myself. I dont wear crosses or have them in my home. I dont have pictures of Jesus or anything like that either. I think the important thing is for me to know the truth about things. Why do I believe what I believe? Does scripture line up with what I think is true? Wearing a cross or not wearing a cross doesnt make a person more or less likely to have a place in the world to come. Knowing who Messiah is does matter and knowing what his character and nature is matters. Knowing why he did what he did matters and knowing how we fit into that certainly matters. How many crosses a person has does not matter. by ” God’s mouthpiece ” , but she eventually did . Sorry for the lateness of this comment, I have only just been able to find this quote. When did the Savior actually perform his atoning sacrifice? Many Protestants believe that it was only on the cross; many Latter-day Saints believe that it was only in the Garden of Gethsemane. Both are partly correct, as taught by Elder Neal A. Maxwell and Elder Bruce R. McConkie in Supporting Statements D on pages 24–25 of the student manual (see Maxwell, “The Old Testament: Relevancy within Antiquity,” A Symposium on the Old Testament, p. 17; McConkie, The Mortal Messiah, 4:232 n. 22). No, because former Mormon “authorities” taught it differently, including Joseph Smith. It only proves that Mormon “prophets” are anything but consistent. I am an active LDS member, have been for about three years now. There are some things I disagree with where the church is concerned (the bit about coffee makes no sense to me, for example, and then it keeps being re-defined as “don’t drink caffeine because it’s a drug,” etc. Anyway – my husband gave me a beautiful cross as a Christmas gift. I showed it to my family home evening group (my husband is not a member, so I’m something of a third wheel with another family). Most were nice and said it was pretty. But a couple people, you could see them curl their nose up at it. I’ve heard all the stuff about Gethsemane being more important than the cross, but seems to me suffering and death for us is more important than just suffering. Anyway, I will continue to wear my cross, even at church. I’m at a point now where the next person who tells me what I should or shouldn’t do “because the church teaches it,” or “a prophet said it,” or “it may mislead someone else” might just get clobbered. I love my church, but all the individual opinions on everything are about to drive me over the edge. If wearing a cross might incline someone to ask about my faith in Christ, I’m all for it. It’s personal preference, and yes, I will keep drinking my Pepsi with caffeine. I’m not opposed to the church or going to get into a protracted argument of why it’s a cult or any other nonsense. But I am in individual and my individual likes/dislikes/guidance from Spirit matter just as much as anyone else’s. Thank you for stopping by and sharing with us. It sounds like you would agree with the apostle Paul who said, “For I am not ashamed of the Cross of Christ for it is the power for salvation……..” I’m going to provide you with a link to a video by former BYU professor by the name of Lynn Wilder who had a cross that she treasured but had to hide wearing it when on the (BYU) campus. It’s a lengthy interview but I think you might find what she has to say thought provoking. Welcome Lynn . I am glad that you feel it’s ok to wear a cross . You mentioned that you disagree with your church on some things including it’s position on drinking coffee ( caffeine) , and that your individual likes/ dislikes / guidance from the Spirit matters just as much as anyone’s else’s . While I do not find your statements ” out of line ” , the fact of the matter is your leaders have spoken about such a position , and it’s not in your favor . Unless they have recently changed their doctrine about drinking coffee , you cannot receive a temple recommend . That places your beliefs in a very serious position as you will not gain eternal life (“exaltation” ) unless you qualify to get into the temple and receive it’s ordinances . If you have already been through the temple you are still violating God’s law ( D&C 89 ) according to them . You need to choose which to follow : either the apostles Jesus sent out to preach His gospel of salvation –Rom 1:16 , or men 1900 years later who inserted no coffee drinking into His gospel . See Gal 1:8-9 . I personally have chosen Jesus’ apostles and the gospel of salvation they preached far and wide — Col 1:20-23. I’m very leery of men in these latter days who come claiming to be Jesus’ true messengers but who are found out to be otherwise , even if they are polite and well dressed . See Matt 24:11 . I believe that the Holy Ghost may be trying to get your attention . Please look through the information which MRM has available , it can help you be informed about why we seek to reach out to LDS with the good news of the true gospel of Jesus Christ .